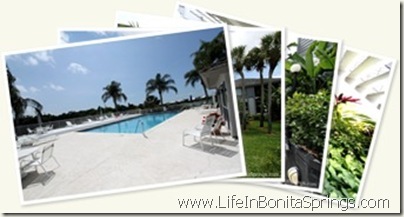 Whiskey Pointe is located in the heart of Bonita Bay in Bonita Springs, Florida. The location is quiet and surrounded by lush landscaping and wildlife preserves. The complex of Whiskey Pointe is small by comparison to many other condominium complexes. There are only sixteen condominium units in Whiskey Pointe, total. Condos at Whiskey Pointe range from two to three bedrooms and offer covered carport parking. Views from Whiskey Pointe condos are of preserves, lake, swimming pool or landscaped areas. Whiskey Pointe shares a community swimming pool with two other complexes tucked just off of Bayhead Drive; Lakeside at Bonita Bay and Greenbriar at Bonita Bay. Condominium owners at Whiskey Pointe enjoy use of the many amenities of Bonita Bay which include: Private beach park on the Gulf of Mexico, swimming pool, tennis, fitness center, three family park areas, twenty four hour security plus the many miles of Bonita Bay walking trails. Optional memberships in Bonita Bay include Country Club, social memberships, golf membership for Bonita Bay Golf and Country Club plus the additional golf courses of sister communities and marina membership. Any real estate in Bonita Bay can be gulf access with a marina membership or dock purchase. Bonita Bay is located on the west side of US 41 – Tamiami Trail in Bonita Springs, Florida just north of Bonita Beach Road and the Imperial River. Woodlake real estate listings are below. Condominium homes at Whiskey Pointe in Bonita Bay rarely come onto the resale real estate market. In the report below there is a combination of reports for Whiskey Pointe, Greenbriar and Lakeside at Bonita Bay, but they may not be displayed due to how rare it is that they become available.